Get FastestVPN View Compatibility Be in charge of your internet with a risk-free XboxVPN. A VPN is important to protect yourself from prying eyes of snoopers such as hackers and other third parties. The reason to get a VPN for Xbox is the same reason you would get it for any other device. 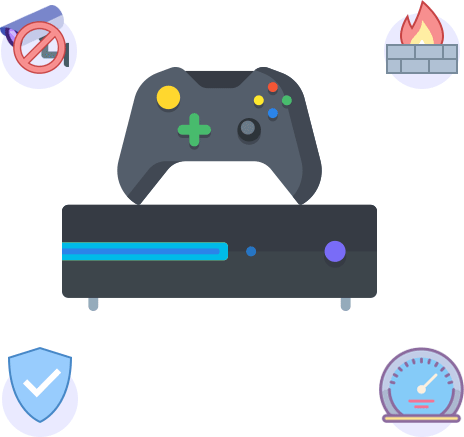 It spoofs your original location and gives you unlimited access of games, videos and websites from all over the world while providing privacy and securing your Xbox. If there is a game or video release in any part of the world first, you get to see it with a VPN for Xbox! 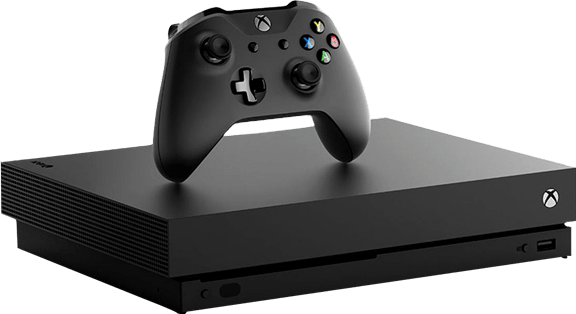 A VPN for Xbox stops hackers' attempts to gain access to your account in order to retrieve your data such as full name, DOB, credit card details, recently used passwords and often your home address. Moreover, it provides the best gaming experience by reducing lag and latency. While a VPN for Xbox acts as a shield, it also unblocks geo-locked games and streaming content which is otherwise unavailable in your region. Be the first in your region to have access to all the launched games. Spoof your location and become completely anonymous. Stream freely and have complete internet freedom on your Xbox! Get 24/7, real-time protection against online threats of any kind. without any additional charges. Cherry on top is the pricing that is easy on the pocket – very economical. Get an added layer of security to shield yourself online from malicious threats and other threats. Stream without interruptions with FastestVPN. The Adblocker ensures no ads pop up on your screen while you stream or browse. Enjoy unlimited online access to games, videos, and other content of your preference from all over the world. Switch between servers to suit your needs as many times as required. Enjoy protection on 10 devices at one time. Secure your devices at home, work or on the go - all at the same time! Have all queries and problems resolved in real time with FastestVPN's highly-responsive technical team available via live chat or email 24/7. For security and stress-free internet use, get FastestVPN. It has a solid connection and a great customer service attending to each question - even the most silly ones. Def. love it! FastestVPN has enhanced my gaming experience on Xbox one completely. It does not reduce ping rate but it maintains it while I get to play games outside my region smoothly. Awesome, right?! I totally recommend this VPN for Xbox One as it is extremely easy to install and use even for a tech noob like me. 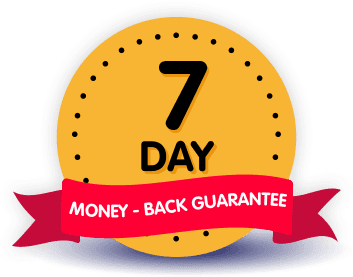 It comes with a 7-day money-back guarantee which is a good option but you wont ever need it. FastestVPN for Windows and other devices and enjoy the unlimited online experience. Love FastestVPN—or get your money back. Try VPN on Xbox with a 7-day hassle-free money-back guarantee and secure your internet!